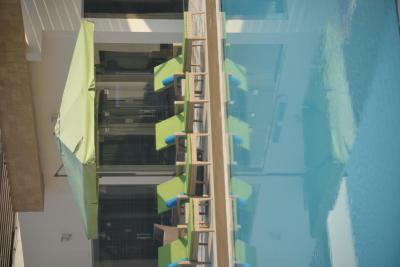 Room very clean and has a nice view at the pool... 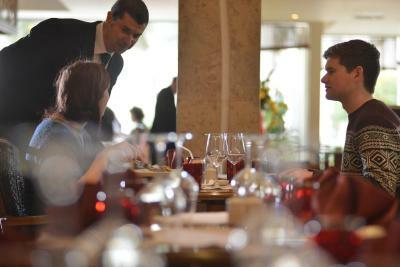 Restaurant has delcious food... 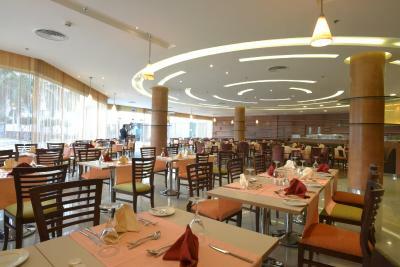 The most beautiful is layali novotel with chicha and the'..
Good location. 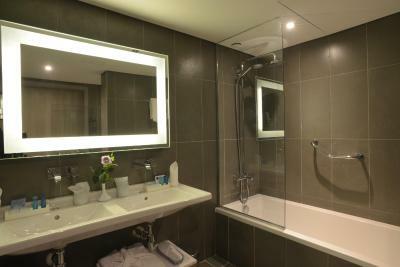 Hotel was clean and met our needs for a stopover on way to airport flight. 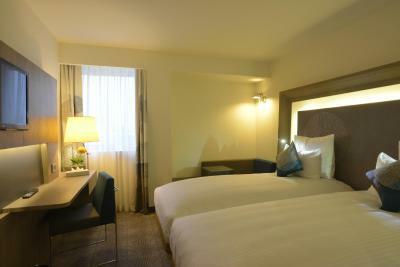 The was firm supportive and pillows and duvet soft and wonderfully warm. 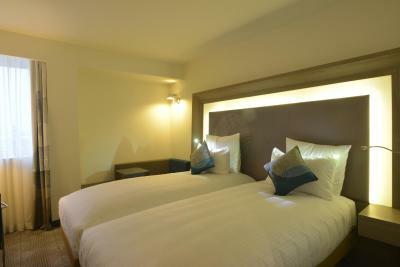 the beds are very comfortable and the rooms are quite spacious. 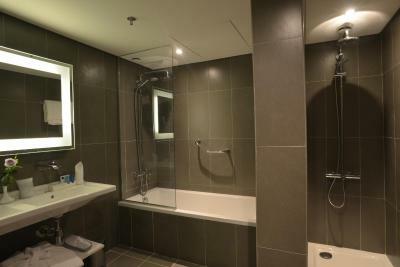 The showers are quite good too. The reception staff and door security were such lovely people. Departing shuttle from the hotel is super convenient. Breakfast was varied and starts at 5 AM, which was my favorite part because I had a lot of early days. 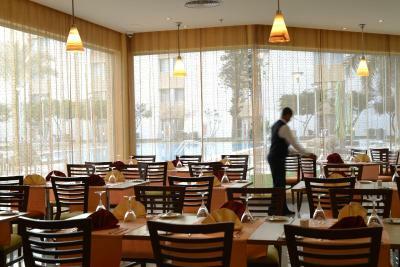 Room service is cheap (pay in USD or EGP). 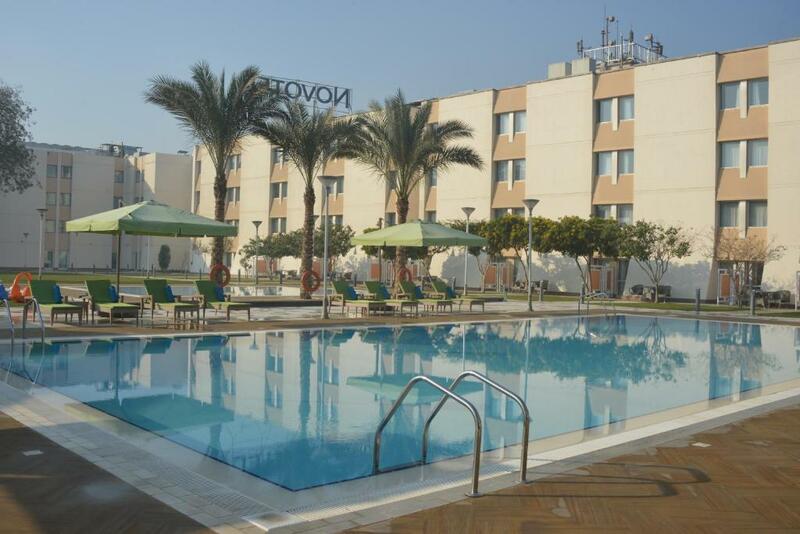 Novotel Cairo Airport This rating is a reflection of how the property compares to the industry standard when it comes to price, facilities and services available. It's based on a self-evaluation by the property. Use this rating to help choose your stay! 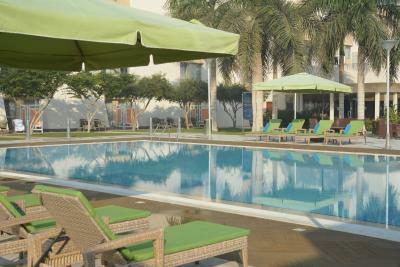 One of our top picks in Cairo.Novotel Cairo Airport offers 2 outdoor pools in the landscaped garden, free Wi-Fi and free airport shuttle. 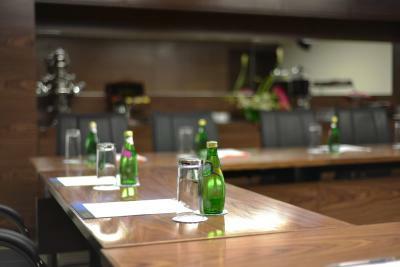 It is a 10-minute drive from the International Convention and Exhibition Center. 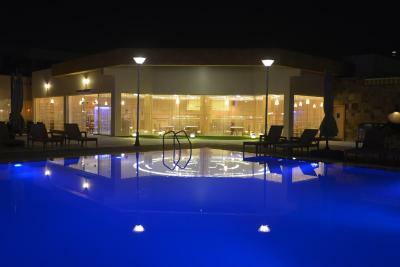 This 4-star hotel provides air-conditioned guest rooms with satellite TV and a tea/coffee maker. 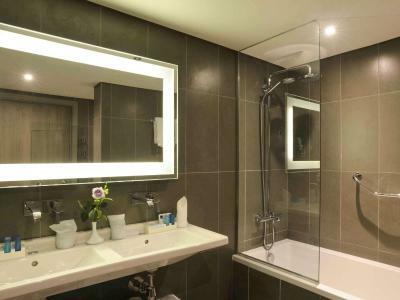 Each has a private bathroom with a hairdryer. 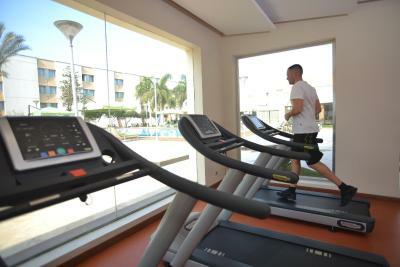 Guests can enjoy a workout at the on-site fitness center or a game of tennis on the court nearby. 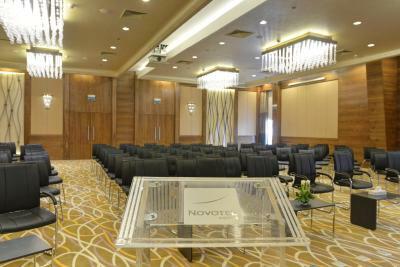 Novotel Cairo Airport also offers a business center, a 24-hour front desk and car rental. 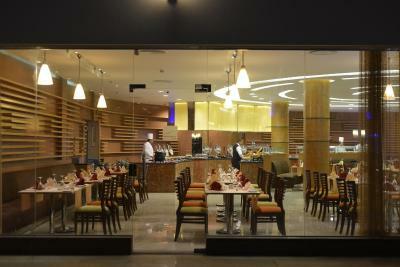 The Novotel Cairo’s 5 restaurants serve international and Mediterranean cuisine and 2 bars. 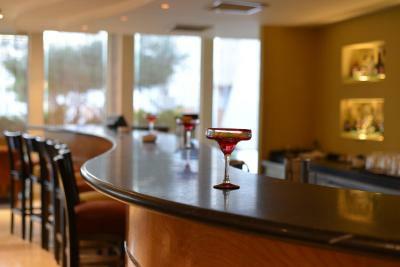 Guests can enjoy live music with cold drinks at Le Rendez-vous. 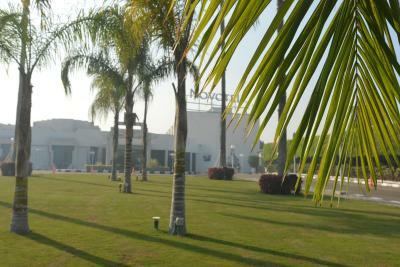 Novotel Cairo Airport is a 20-minute drive from the center of Cairo. A free airport shuttle is available and can be arranged by the hotel. Heliopolis is a great choice for travelers interested in culture, history and friendly locals. 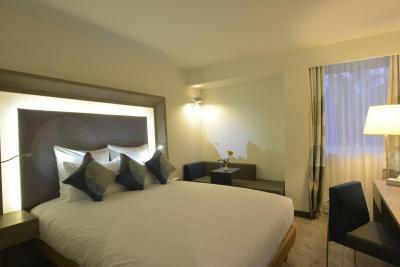 When would you like to stay at Novotel Cairo Airport? 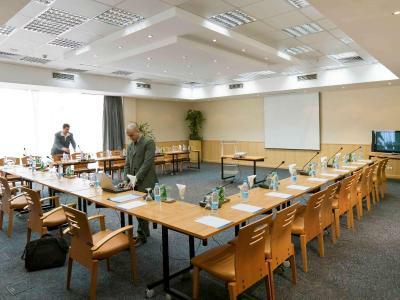 This air-conditioned room includes a satellite flat-screen TV, a minibar, a hairdryer, free tea/coffee-making facilities and free Wi-Fi. 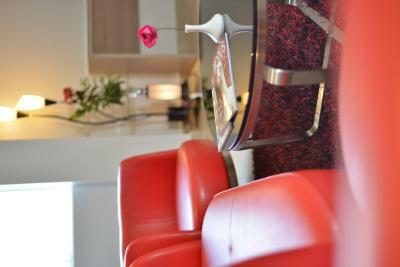 The suite includes 1 bedroom, 1 living room and 2 bathrooms. 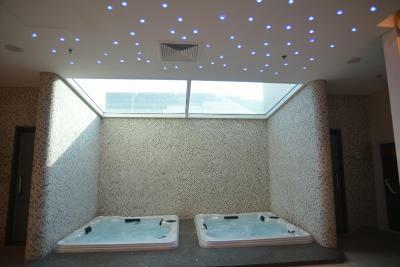 It has 2 TVs with connectivity panels, free Wi-Fi and tea/coffee-making facilities. 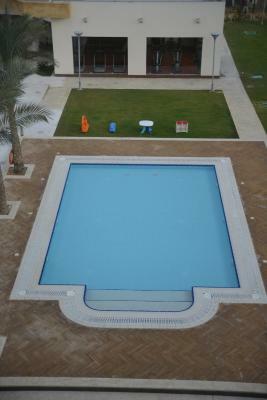 It can accommodate up to 2 adults and 2 children. 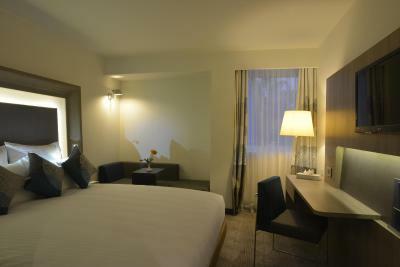 The superior room features air conditioning, 32" LCD TV with connectivity panel, free Wi-Fi, minibar, hairdryer, laptop size safe and free tea/coffee-making facilities. 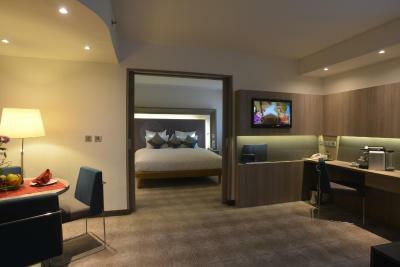 Featuring a view over the superior room features air conditioning, 32" LCD TV with connectivity panel, free WiFi, mini-bar, hair dryer, laptop size safe box and free tea/coffee making facilities. 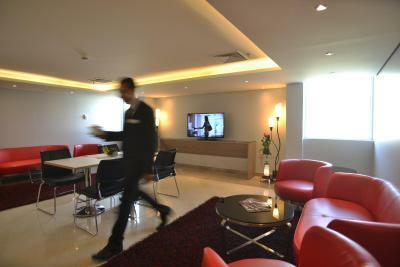 House Rules Novotel Cairo Airport takes special requests – add in the next step! 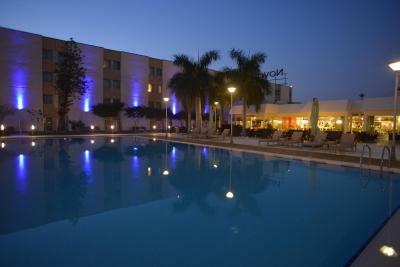 Novotel Cairo Airport accepts these cards and reserves the right to temporarily hold an amount prior to arrival. 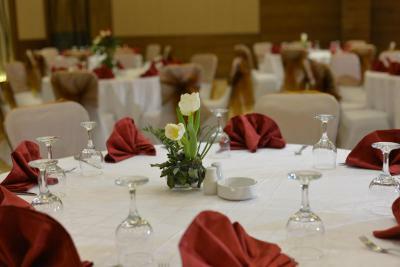 Meet and Assist services can be provided to facilitate entry procedures (immigration, customs, etc. )at an extra charge . Flight details should be provided 48 hours prior to arrival date. You can use the Special Requests box when booking, or contact the property directly with the contact details provided in your confirmation. Staff attitude when check in didn’t go smoothly. We arrived at 3pm but they were confused, couldn’t find my booking and were not ready for us. Then there was an issue in paying, 3 different adults tried 4 different cards but all declined. They REFUSED to believe this was an issue with their machine or bank. Eventually they let us to our room as I explained we’d had a long day with young children. Sadly though they only gave us 5 minutes before calling our room demanding we come and pay. They then insisted we get cash from the machine at our expense. The same card they tried at the desk was successful at the ATM and yet they still refused to accept the issue was not ours. They also told me we had 3 identical rooms (which was not what I booked) only to find we did have the rooms we requested but by the time we realized our sleeping arrangements had already been changed. Hotel great, staff not so great. Pool and Restaurant area looked really lovely, but we only stayed 1 night so didn’t really get to use most of the facilities. Shuttle bus to airport was the primary reason for our stay as had a very early flight. Only once every 30 minutes though. 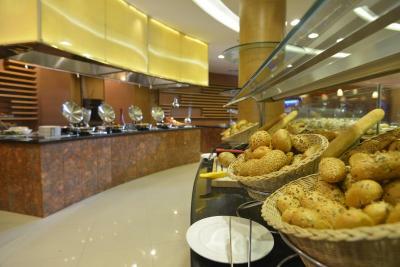 Excellent variety of breakfast foods. Despite of advance information given to the Hotel , pick was not there at airport. For a international Traveller , he will not have any number to contact. I have sent my flight details also but no pick up. Otherwise hotel was really good. 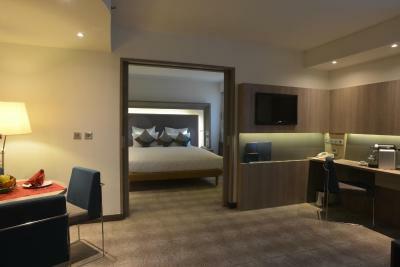 I like the spacious hotel environment. 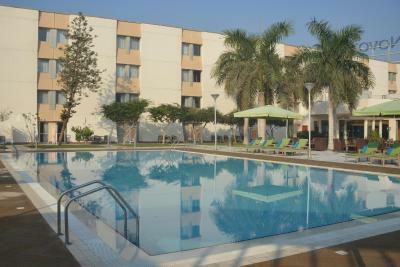 Expected much less for airport hotel but in fact it is so suitable for staying. House keeping were very noisy as they went through the corridor ! I emailed the hotel on the day of arrival to confirm there need for a airport shuttle, they confirmed the shuttle would be there. When we arrived there was no shuttle, so at 10:30 pm we took a taxi to the hotel. The hotel staff apologized and upgraded our room to a suite. We booked this hotel because of its proximity to the airport. We have stayed there before and were happy with everything before. 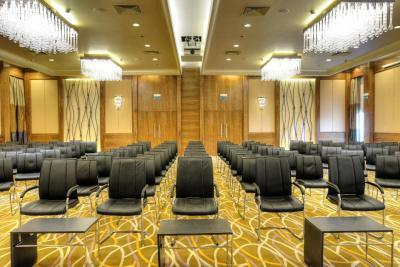 The room was very nice and more than we expected. 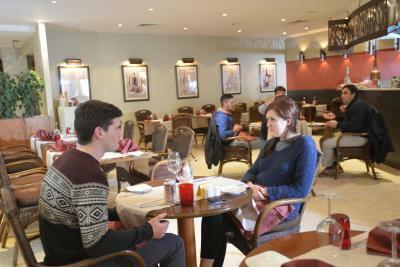 -Pillows was very bad, -Location is through the toll gates of airports during in and out, there must be an agreement to exclude the hotel guests. - parking should be free , as there is no alternative . Friendly smiley staff. Very Clean room and bath. Quite place to stay as long as you away from house keeping.